New Delhi Sep 15 (IANS) Congress President Rahul Gandhi appointed P. Chidambaram as the chairman of Manifesto Committee A.K. 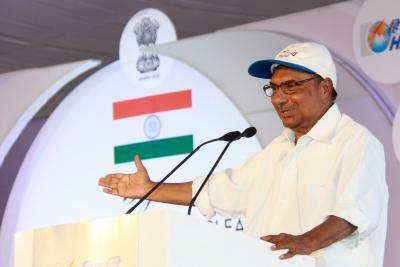 Antony as the chairman of Coordination committee and Anand Sharma as the chairman of Publicity Committee for the 2019 Lok Sabha elections said party sources. According to sources Rajeev Gowda has been apppointed convener of Manifesto Committee Jairam Ramesh as the convener of Coordination Committee and Pawan Khera as the convener of Publicity Committee. The formal announcement would be made soon said party sources. The manifesto committee has Chidambaram Ramesh Bhupinder Singh Hooda Salman Khurshid Shashi Tharoor Kumari Selja Sushmita Dev Rajeev Gowda Mukul Sangma Manpreet Singh Badal Sam Pitroda Sachin Rao Bindu Krishnan Raghuveer Meena Balchnadra Mungekar Meenakshi Natrajan Rajni Patil Tamradhwaj Sahu and Lalitesh Tripathii as its members. The publicity committee includes Anand Sharma Randeep Surjewala Manish Tiwari Pramod Tiwari Rajeev Shukla Bhakta Charan Das Praveen Chakravarty Milind Deora Ketkar Kumar Pawan Khera V.D. Satheesan Jaiveer Shergill and Divya Spandana.